The new year is just around the corner. 2012 was the year customers began to feel more comfortable by willing to travel more and book their business gatherings at hotels across the world. Hotel managers began to see a positive trend with business travel picking up, creating a new demand that was hard to come by for several years due to economic rollercoaster. As service leaders, we have to turn up the heat in 2013 and really add more value to our customers. The days of customer satisfaction are gone. The new year will bring opportunities to enrich customer service in a world that’s hungry for beautiful experiences. The next level of customer service will challenge us to create a memorable delightful moments to each and every customer we come into contact with. If those moments will be valuable and meaningful, we will achieve loyalty for years to come. So how do we begin to L.E.A.D the customer loyalty experience in 2013? Here are some ideas I thought can be valuable to every customer wherever they choose to have their experiences. The gift of our attention and understanding cannot be underestimated. More and more customers are complaining because no one really took the time to listen and understand their needs. Our ability as leaders to listen and listen well, creates goodwill that brings customer back to our business. We have to be interested in their lives and pay attention to what they are asking of us from the very beginning. To build the bond of understanding, we need a listening ear. Our customers want to feel understood and appreciated for the money they spend. They are spending their hard earned money on our ability to really create an environment for them to be valued and understood. By listening deeply, we make their experience less challenging. The power of empathy is the essence of all good relationships. Empathy strengthens our connection with one another on another level. Empathy allows us to understand the customer better and act on their requests in much more meaningful way. When we are empathetic, we have the ability to understand the customer on a deeper level. It’s an opportunity to make an emotional connection for understanding them as a people and not just another transaction. When we empathize with the customer, we connect better by helping and reaching out to someone in time of urgent need. Attending to the customer goes beyond being there and showing up to work. It requires of us to disengage from our own personal agendas to give more of our attention to the customer. More and more businesses have invested in their technologies resources and it’s really easy to get distracted and leave the customer behind. As I read and listen to customer’s feedback, I am learning that attention is something we cannot ignore. We all do more with less and have an extra project to implement but we must not forget to focus on our customers as they keep our doors open and bills paid every month. By giving our immediate attention to customer’s problems and challenges we communicate that they are just as important to our business as any project we are working on. Creating a customer for life requires companies to take their customers to the Delight Moments. There is a significant difference between satisfied and delighted customers. Delighted customers will be more loyal and a business can create e customers for life. The key for businesses is determined by the right customer experience for the right return. When customers are delighted they share their positive experiences with others. They are raved about the level of service you gave them for their money’s worth. That’s the real value added boost for taking a satisfied customer to a delighted customer. It starts with random of acts of kindness and surprising the customer with something more than they expected . It’s the cherry on top customer experience. What can I give to life and the world today? The question, “what can I give life and the world today,” embodies our sense of purpose to give meaning to our life and the people around us. Our lives begin to have a meaning when we have a burning desire to make a positive difference in the world around us. We sometimes take things and people for granted. The way to make a positive difference in people’s lives is to begin with a mind-set that we are here to be kind to each other. Rabbi Sholmo Wolbe said, “The first step to becoming a kind person is to be aware of the specific needs of each person you encounter.” Sometimes people won’t tell you what they need, but you can reach out and help someone by offering something the person is missing in their life. Kindness can uplift, encourage and influence others for a better situation. Talking about our purpose is not enough. We have to “deliver the goods.” Are we doing more than expected? Are going the extra mile to give your life a better meaning? We have to be action-oriented if we want to see our life taking a new turn. I was always told there are two kinds of people among us: those who make things happen, and those who wait for things to happen. Deliver the promise! We need to make a commitment to inspire and develop others. We live to our fullest when we develop the people in our communities we belong to. The highest call of leadership is taking people where they are at the moment to where they can be tomorrow. Alan Loy McGinnis said, “There is no more noble occupation in the world than to assist another human being-to help someone succeed.” By investing in our future, we dedicate to the growth of the people around us. We care about their hopes and dreams. What is the best gift you can give someone? As part of my preparation last week to deliver customer service training, I looked for stories that I could share as an example to drive home the message of great customer service to our associates. I came across a story that made me think about my customer service and our team. The story was about Rick Collins who achieved the Marriott Award of Excellence. The Marriott Awards of Excellence were established to recognize the “best of the best” at Marriott. This year, Rick was one of the eight associates who got selected demonstrating the hotel company core values of service. The Award of Excellence is presented each year to a select few that demonstrate over a period of time the traits of achievement, character, dedication, effort and perseverance. I became intrigued with Rick Collins story because he was not a manager. He is the guest service associate at the Courtyard Nashville Downtown. Working at the front desk, Rick became a respected leader in the hotel and the Marriott brand. He is always ready and willing to serve the guest. Taking care of the guest was only one element of Rick Collin’s Job. As I read his story, I realized that his mission was to make each person around him better. Although, Rick has faced health issues in the last 14 years, he found the time to coach and mentor his trainees by helping them realize their potential in going above and beyond for the guests. He takes the time to connect with everyone on his team by encouraging and training them to succeed at their job. He trained almost every employee who works at the front office department and continue to provide support when needed. 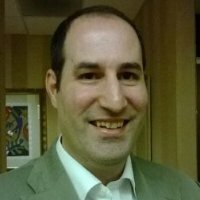 So as I learned more about Rick’s service to the guest and his team, I wrote down some pointers to help me discuss it in my training. What can we learn from Rick’s excellent gifts? He makes it his personal mission to put a smile on the face of every team member. Each one of us can help listen, care and give our heart to someone. Taking team members under his wing. Helping them to settle-in to the front office department and guest needs. Rick is always looking for ways to serve others. Communication has taken a whole new meaning over the last few years. Technology amplified the ways we communicate with each other. Think about the resources we use almost daily to communicate with other people-Text-messaging, Facebook, Twitter, Blogs and Skype has taken communication to a 24-hour non-stop flow of small interactions between one another. Whether it’s a friend or a family member, we find a way to communicate more than ever before. With all the technology available for us to communicate, we must remember it’s not about the quantity but the quality of our communication. If we take the time to communicate our message as a meaningful dialogue beyond the tools we use, we will have a chance to improve the quality of our communication. I thought about some of the words we use to communicate in our daily connections. Which ones are more meaningful and important for everyone to connect? Each person we meet has the potential to share with us something unique and valuable. We sometimes need to ask for help and direction from other people. John Wooden, the legendary college basketball coach said,” It’s what you learn after you know it all, that counts.” When we ask and communicate to people we need them, we communicate we trust them with our heart. We co-create together when we say we need someone in our life. “I need you” is an invitation to personal development with others. It’s a way for each one of us to connect on a path that we are still learning. We are still growing and developing as human beings. Greatness can never be achieved alone. The ability to apologize requires us to communicate something we did wrong. Sometimes, we need to take the time to communicate our shortcomings. The words “I am sorry”, means we truly reflected on our conduct and want to make it up. It’s hard to express those words, but we need to start with empathy and understanding of the other person’s point of view. Being sorry is a great way to recognize we are all imperfect. It makes our soul pure with our human hearts. It shows our efforts in wanting to be in relations with others when things don’t go well. The dictionary defines the word extraordinary as highly exceptional and remarkable, going beyond what is usual or customary. The world around us is changing fast. Companies are selling a product or a service to someone that may have a better value than its competitor. But we all sell experiences. Whether you sell the latest I-phone or a new pair of Air Jordan shoes, it’s how people feel about the products they purchased. But, in some places the experiences we sell to the customer comes from the people delivering the extraordinary remarkable service. In other words, we have to deliver the extraordinary. We don’t want ordinary or just to be average. Extraordinary is something each us has to remember when we want to create a better value to our customers. Customers don’t remember ordinary, they remember extraordinary. Everyone can make a memorable difference. 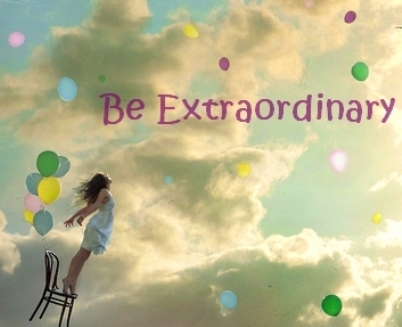 So, how can we be become extraordinary? What are three essentials for remarkable performances? When we think about value, we think about how to add more value to take our product or service to a higher level. It’s about the EXTRA stuff. It’s about the BONUS for the customer. We can add more value by going above the expectations. It’s what I call the Surprise and Delight moments that our customers remember. Something they didn’t anticipate or expected but created a memory they will never forget because of your service. Here is one quick suggestion-perform Random Acts of Kindness daily. Customers love problem-solvers. Mistakes happen sometimes and we have to show the ability to step up and own them. Sometimes problems occur because of someone else, but in order to be extraordinary, we have to solve problems we may have not have created ourselves. Here is a quick suggestion-When you are facing a problem, think about the other person having the problem and how would you like to be treated if that problem was yours? Change the perspective and you begin to realize how important it is to have the problem resolved immediately. Don’t’ be a problem spotter, but be a problem solver. Going from ordinary to extraordinary is a team play. The days of one person making a difference is long gone. If we want to make a positive remarkable difference, it involves other people. It involves adding value and helping other people become better than they are. It’s the leadership test of whether someone is better because of you. Here is a quick suggestion-find a way to reach out and try to add something to someone’s day. Find a way to help them in some way. They will be sure to appreciate it. If you are part of a team, it’s the contribution we make to the total team effort. Our character is defined by the most difficult trials we face. It’s our finest hour. Whatever is truly inside us is revealed. We either face the challenges directly or we ran away from them hoping it will change overtime. Our character is built inside our soul in order to gather up strength to meet those challenges. It’s not what’s in front of us that matter but what’s inside each of us that determines the power of our character. Adversity is a moment of transformation to our souls to make a humble sacrifice. The path to true leadership requires courage to take the initiative to make good things happen. By taking initiative, we are making a choice. Leadership is not a position but a choice. Albert Einstein said, “No problem can be solved from the same level of consciousness that created it.” So, we have to approach our problems with a healthy constructive mindset. But it takes character to confront our most trying times. Character is an inside job. When we begin to guide our internal light, our faith to serve, we begin look at ourselves first. If we want everything around us to get better, we have to get better. Don’t look for others to change and don’t look for easy short cuts. Our ability to improve things around us will always depend on our ability to change ourselves because we are never at a point of perfection in life. We are work in-progress. Our trials unlock our character virtues. They reveal to us who we really are at the most crucial moments. The obstacles and difficulties we face are the stumbling blocks for our spiral of growth. Without them, we go through life without changing and growing. The test of character is part of our true development as human beings. When we face adversity, character builds us. 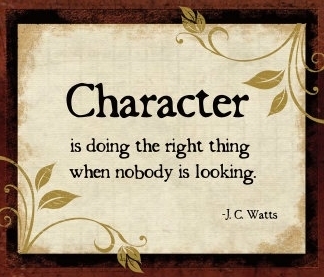 Character molds us. It’s the foundation of which our human soul is renewed through the tough encounters. We begin to discover our true path to a better self. Life is about becoming, instead of arriving. We must embrace and commit to character building because we are designed to handle the difficulties of life. Wisdom is not given but earned. Our future is depended on the development of our character because it polishes our sacred spiritual heart. It brings us good things. It brings us experiences we cherish and remember for a life time. Leaders can serve better by being a light, instead of a judge. Leaders must model the way and set the example. We show our character in the small things of life-small acts of sacrifices to serve each other. Leaders understand the small gestures of service. It’s not what we’ll do tomorrow that counts, but what we do today that makes an impact for years to come. Make a decision to make a positive difference today. These acts of service come from our heart to awaken the spirit of reciprocity in our relationships. It’s not what we get, but what we contribute to a meaningful synergy. Sometimes when we go to a concert or a show, we are moved by the performance and the artist that we begin to clap, cheer and yell,”Bravo!”-wanting to see the artists perform one more act. These Bravo experiences make us feel good and we are craving more and more. Our world is looking for people who produce Bravo experiences-people who make a positive impact on others. These performers are indispensable to our world. As employees and managers, our performance can make our team better, execute a project together, spark creativity, and delight customers. We don’t have to be a singer, a musician or an actor to create a Bravo performance. However, each one of us performs at an office, an assembly line, a classroom, a playing field, a home, a showroom or a hospital. Do you show up as a performer? When we create excellence for our customers and employees, they want to come back for more. We made a positive difference in their life. They want to come back for more. But what created the Bravo effect in those interactions with our customers and employees? Bravo performance begins with our passion to serve. 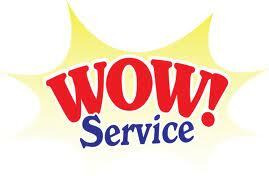 It begins with our intention and energy to provide uplifting memorable service. When we have passion, people are excited to be around us. We take positive actions toward helping another customer or another colleague. It goes beyond just showing up for work and completing your projects. Passionate people make their performance and interactions memorable beyond the tangibles. We are captivated by their actions and how they go about doing it. 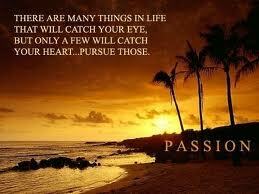 So discover what your passion is. When you discover what drives you, you will begin to notice a value in your abilities that adds value to your team performance and customer loyalty. They would ask for more of your services and more of who you are as a person because you made a difference in their day. When people are excited about you and what you have done for them, the opportunities for growth are endless. There are no boring jobs, only people who perform them. Authenticity helps us connect better so we can give Bravo experiences to those we serve. Authenticity helps us stay real and true to our unique experiences with our customers and employees. Think about your favorite musician or movie. They came across very real and authentic in their performance that could not be duplicated somewhere else. You probably wished it never ended and wanted to listen more or watch more. By being unique and original you ignite the customer interest and delight to come back for more memorable experiences. Take time to reflect and make adjustments to your performance. It’s all about fine tuning and polishing our acts. We are work in progress. Bravo performances take time and the ability to go back and make modifications of the things that didn’t go well. It doesn’t mean we can’t overcome a bad performance. It means we also have to listen closely to the audience and understand how we can grow. As a leader there is nothing more rewarding than watching your team grow and develop to its full potential. All Great teams share several common fundamentals that separate them from the rest. All of us at some point or another, been part of a great team and felt a part of a big picture. In today’s business environment, we need the commitment of people working together in a synergetic way. My success means nothing unless we did it together as a team. Ask any athlete in almost every sport and they will tell you, individual achievements are not as meaningful as team achievements. In fact, most athletes raised their personal value after winning championships with their teams. These athletes became legends in their own field by winning several championships year after year. What are some of the essentials of great teams that we can develop as leaders? Every team needs a vision of where they are going together. What are we trying to accomplish as a group? What’s our common goal? Every leader should help their team understand that vision clearly. Effective leaders thrive on communicating the team vision day in and day out. They never assume that everyone understands. It’s important to keep the vision in front of everyone on the team to help them focus on the outcome, the results of all the efforts and talent. Effective leaders create an empowering environment through their on-going communication to effectively work on a link between the vision of the organization. Trust is the glue that holds relationships together. It’s the foundation of successful teams. When you create an environment of where people can be honest with each other and have open communication, you create a safe place that would serve everyone for the long run. As leaders, we must begin with ourselves in order to create on-going transparency and honesty with our team. We can increase our trust through sharing our honest feedback of where we are at any given moment. We are able and willing to be open with each other to mentor for better results together. That feedback loop has to be consistent as we try to establish daily honest communication by learning how to share bad news as well as good news. When you have trust, the bad news is part of the constructive development process which helps people get better with their daily efforts. Accountability is a two-way street. We can’t have accountability with only one person. Great teams hold each other accountable for the results they achieved or not achieved as a team. At the end of the day, everyone on the team has to have the courage to take responsibility for the actions taken on any given day. When you have team spirit, everyone succeeds together and everyone fails together. But without the ability to be vulnerable and admit your mistakes, the team will never achieve better results. It takes courage and humility to understand we are not always at our best, but we grow and develop when we hold ourselves and others accountable for the results. When we think about leadership today, we think about how we can influence others in an inspiring and meaningful way. Leadership is not about us. It’s more about our team ability to achieve their potential in a nurturing environment. As leaders, we are responsible to creating an environment where people feel inspired and can flourish to a better future. Their success is our success. So as leaders, how can we create a growth potential environment for our teams? When you ponder about this question, we think about the people in our lives that made a positive difference. We felt part of a team and we took massive action to grow. As I thought about these leaders in my personal life and career, I thought about three key characteristics that separated these people from the rest. They are not new concepts, but when you apply them in your relationships, you will begin to notice a positive difference. 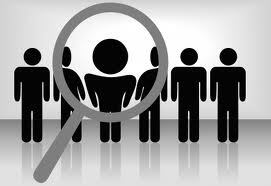 Encouraging leaders are interested in everyone’s aspirations and hopes. The dictionary defines the word encouragement as the ability to inspire with courage, hope and confidence. Encouragement is about building people up when they need a hand and a heart. We need to stretch a hand to our people to lift them up again. We need to listen with our heart to understand and show empathy to their stories. What can we do to encourage? 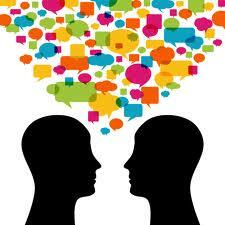 Communicate everyone value and worth- We need to value open communication and respect the person behind the message. Help facilitate action plans to explore each person potential development to the team. Coach when necessary. Recognize efforts and improvements. Appreciate and celebrate the small successes. Enabling leaderships is about helping others to experience, know and do things better. It’s what we do when we want to help our team to learn and develop. We enable others to lead better. It’s focusing on people development. As leaders, we must supply the means and the knowledge for our team to get the work done. What can we do to enable? Share knowledge-we must share relevant information that helps our team to perform their tasks better. Provide systems that eliminate non-value added work-Put good people in a bad system, and they will fail. Appropriate tools and technologies-We need to provide our team the latest technology to access the information to enhance the customer experience and work more efficiently. 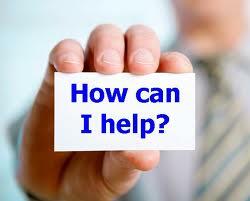 Helping others enlarge themselves is one of the most incredible things any leader or a coach can do. Denis Waitley said,” The greatest achievements are those that benefit others.” As people develop their skills and gifts, they begin to produce better results. They feel like they can contribute to the overall mission. When you enlarge others, you help them with their development and empower them to reach their potential. What can we do to enlarge? See their potential and help develop it. Help them create enlarging experiences that create memories. Be a good mentor by placing them in a position to succeed. Our connections determine how we grow, who we become and how equipped we are to fulfill our relations with others. It’s through meaningful connections that our hearts are fulfilled. We were designed to connect with others. In connecting with others we enrich and nourish our relationships. Connecting encourages us to work with others, through dialogue, and through a sense of belonging and searching together. Our personalities deepen and grow as we seek to engage with others. We gain openness and respect for others when we willing to share more and learn more. Our connections with others are largely depending on our own ability and attitudes. By examining and reflecting on our behaviors, we can better understand how to connect in a meaningful way. This requires the suspension of our own personal agenda in exchange for a relational one. Our relationships begin to flourish when we are both present in the connection together. It creates a powerful connection that continues to build upon previous small connections. When we connect, we come to know. When we come to know, we are able to understand better. Every one of us as a deep desire to be understood respected and appreciated. We are all individuals with our own kind of richness and gifts to be discovered. Real communication implies something deeper than polite acceptance of those who are different. It means accepting those who are different, appreciating them and their views, creating bonds of authentic friendships with them. These connections are vital for human growth. We need courage to accept each other differences. We are all part of a community. Whether we are with our family, friends or colleagues, we are part of a community. Our communities are the sum of all us. We meet together to create something bigger than ourselves. By connecting, we have to discover who the other person is and through real dialogue. In the process of connecting we also discover more of who we are. As we deeply listen and meet the other person, we begin to see their uniqueness and strengths. When we enter relationships, we open our hearts to one another to discover a bigger meaning than our selves. We pour our life to others to create a memorable journey together. The journey we take together is a journey of mutual discovery. It’s a journey that can be defined by our character, trust, respect, and ability to have the courage to make changes in our attitudes. Personal relationships involve our openness, vulnerability, by a way of listening to, understanding, and caring for others that reveals to them their values and worth. We add value to people when we love and respect them instead of ignoring and being indifferent to them. We create a strong connection when we get to know each other, appreciate each other, seeing each other value and receiving from each other.